New green spaces for the banks of the River Brent. 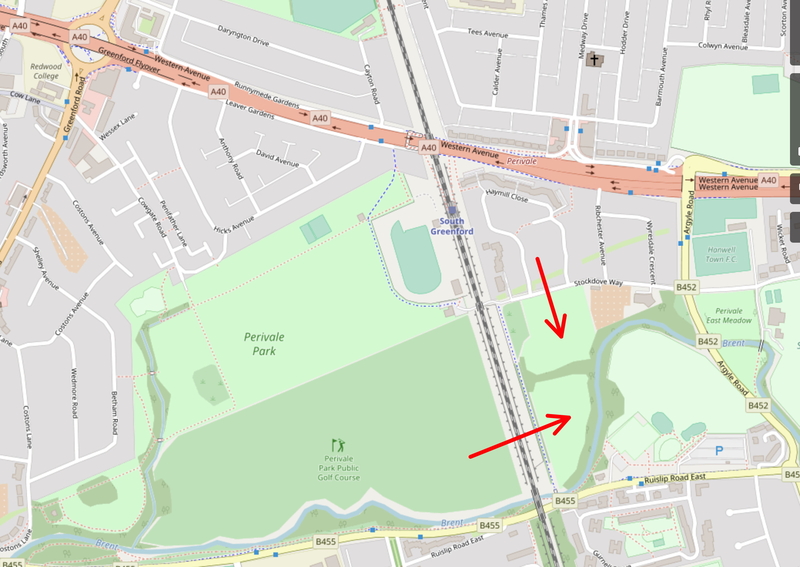 The banks of the river Brent close to Perivale Park in London are about to be enhanced with reed beds, wetlands, meadows, woodland and orchards. This is a fantastic new local resource for the area! Photographs of the existing fields will appear here shortly and as the development proceeds more will be added to illustrate how the transformation is proceeding. The map below shows one of the locations to be enhanced (red arrows). As the plans are published, more may well follow. Previous PostPrevious A local community forum for Perivale Park, Ealing.